Charter this luxury crewed Maiora 20S in Kastela, Croatia. Built in 2008 and refurbished in 2016, the Maiora 20S will be available for charter for the first time in 2017. 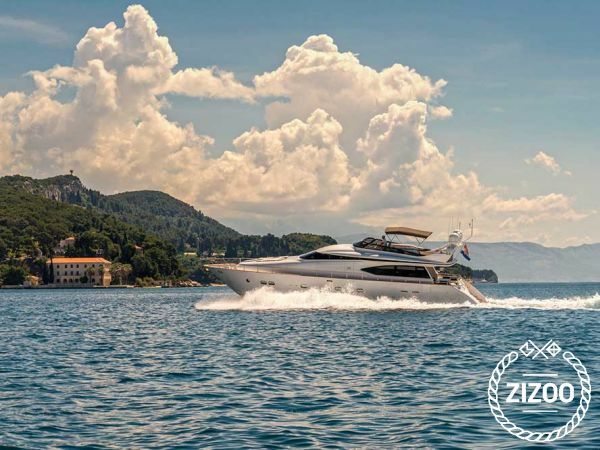 Spend your boat holiday in Croatia travelling in the ultimate comfort and style. The 2-member crew will take care of your every need. This deluxe yacht accommodates up to 8 guests in its 4 gorgeous staterooms. After spending time on some of Dalmatia's best islands or at one of Croatia's best beaches, enjoy freshly prepared meals on the extensive deck or elegant dining room. This superyacht is also equipped with several water toys for your pleasure, including a Zodiac ProJet 350 and wakeboard. Why wait? Book the crewed Maiora 20S in Kastela today.